Portugal for me is like Philippines wherein travelers usually omit us as destination on a multi-country tour, Western Europe and Southeast Asia respectively. Yet when people finally get there, almost everyone falls in love with it (us) instantly. I know this about the Philippines as I’ve met and hosted a lot of travelers and it is the case for me in here, especially when I first stepped into Porto Portugal. I know Portugal is beautiful as I’ve been following a Portuguese photographer‘s gallery for a long time, but I didn’t go the first time because well, like most people, I visited France and Spain and Italy first. But I made sure I go this time around and as expected, I love it. It’s one of my most favorite country of all time. I found a great deal with Ryan Air flying in to Porto Portugal from Valencia. Luckily this great deal didn’t cost me my passport and the end of my trip. It’s because of Ryan Air’s strict one hand carry policy that made me pack my sensible Eagle Creek Compass into the luggage and carry my wallet in my camera bag. Read how I almost lost my passport in Valencia. I was very happy that my friend came to meet with me as she had to take 1 hour train and then drove 1 hour more to spend time. 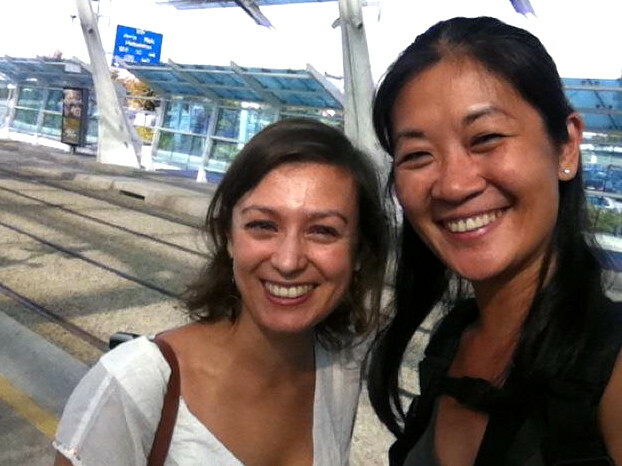 We met in Barcelona 4 years ago and had such great connection that in parting ways, we hoped that one day we cross path again. It was great and we talked like no time has passed. 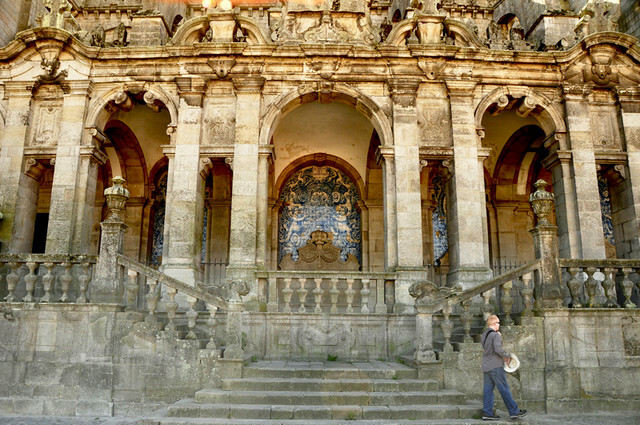 Porto is beautiful! I stayed in a hostel in the center and I walked the street everyday taking in the wonderful sight of the old buildings. Remember how I love the tiles in Valencia? 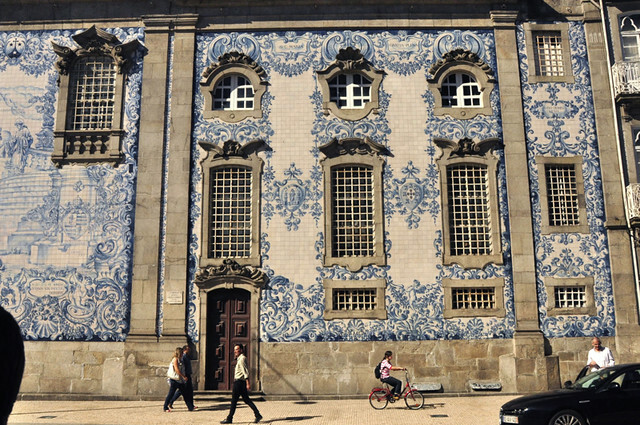 Here I ABSOLUTELY went crazy because the buildings were decorated with azulejos (tiles). Not only the facade but also the interiors. UNESCO has declared the whole old center as a World Heritage Site due to its numerous landmark architecture. 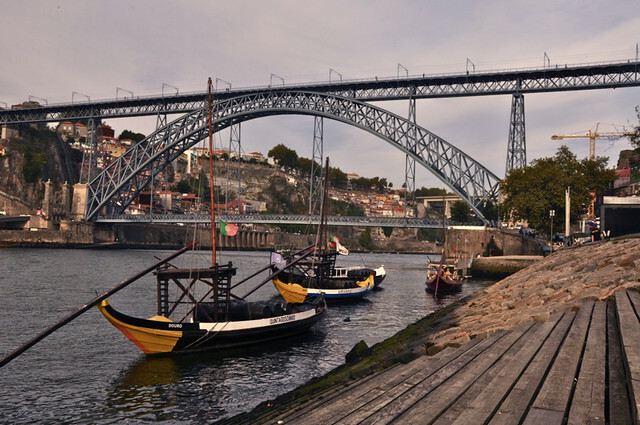 See more pictures in the Porto folder in my gallery. Bacalhau is the Portugese name for codfish (usually dried salted) and is their national food, or fish at least. No, I don’t know that but it’s in the menu of every restaurant prepared in many ways. I was 5 days in Porto and I had them everyday. I missed eating fish while traveling Europe without realizing it. They said there are a thousand ways to cook it. If you order coffee in Portugal, you’ll automatically be given an espresso. And you drink it black. Milk is for baby, they said. I’ve been to many different small cafes and all of them have great coffee. Perfect shot every time. And they only costs 1 euro. 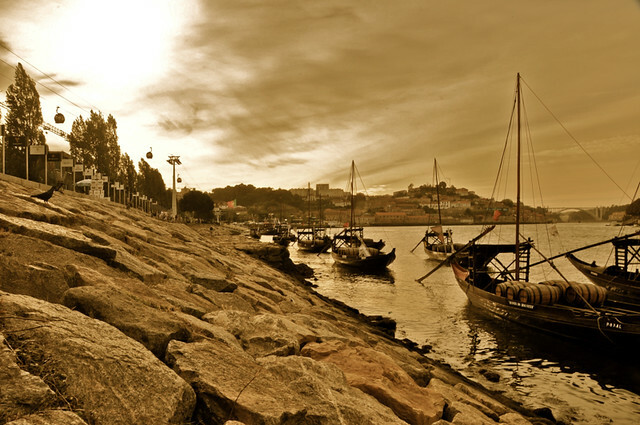 Port Wine is one of the most popular export of Portugal came from Porto. 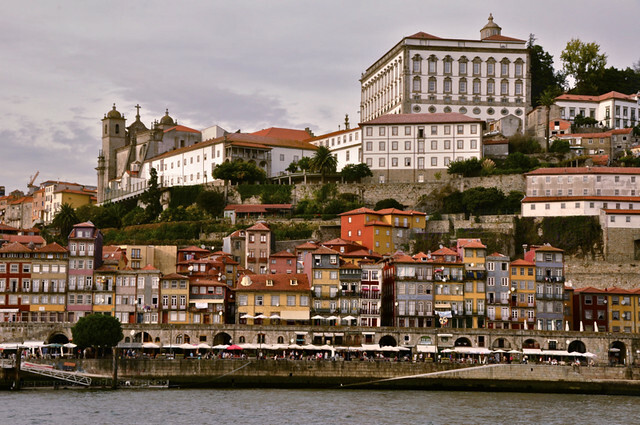 The grapes and winery are found along the Douro River, which run across the city of Porto. There are several wine tasting boat tour offered but I didn’t do it, maybe next time. 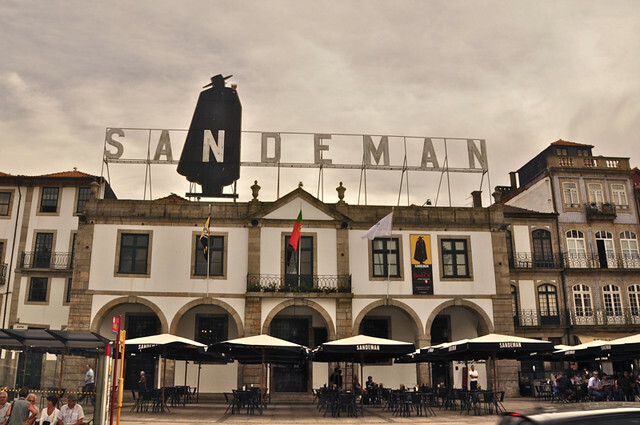 But I did have port wine here at Sandeman bar. Beside churches, port wine, and tiled buildings, what I noticed about Porto (and Lisbon later) are the number of old bookstores scattered all over the city. 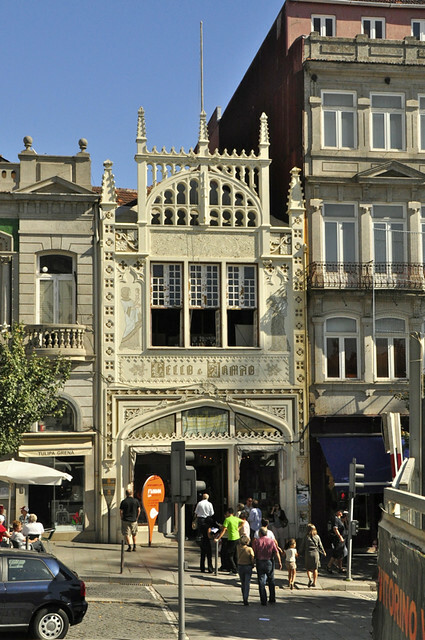 If you love those little bookshops around the corner, Porto has tons of them. And the famous old bookstore which has recently been renovated is Lello. The facade is nice but inside is amazing!! Unfortunately they didn’t allow us to take photo inside so I found one in Flickr by a Matthew Furtado in Flickr. I couldn’t say enough how beautiful I find Porto. It’s a place I would love to come back to one day. It also has a certain air of mystery and nostalgia. When I walk around the city, sometimes I have a feeling I’m not in the present time. BEAUTIFUL BEAUTIFUL!!!! thanks for this lovely article. 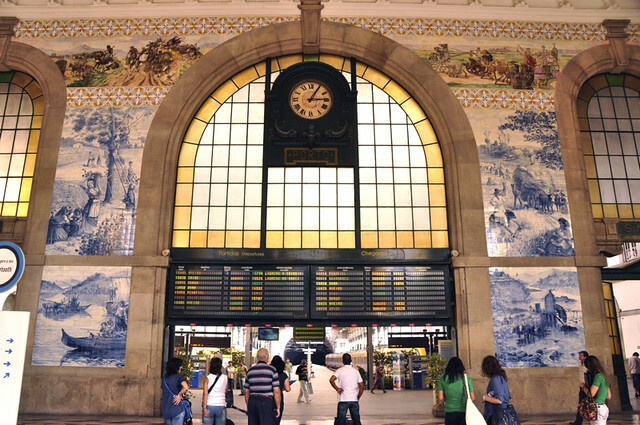 i will be visiting Lisbon on August 21-25 and this page is already bookmarked!!! very very poetic yung mga pictures!!! I love Porto! I was there last summer. 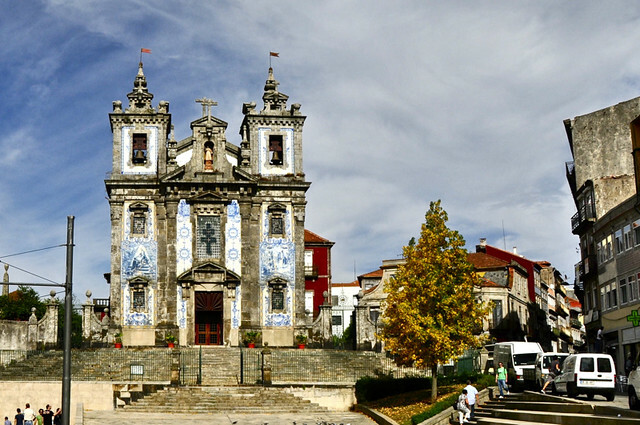 Portugal is a destination you don’t set out to first, but you should. I too appreciated the tile work of the facades. Did you go up that tower in your first photo? The views of the city were amazing from up there. 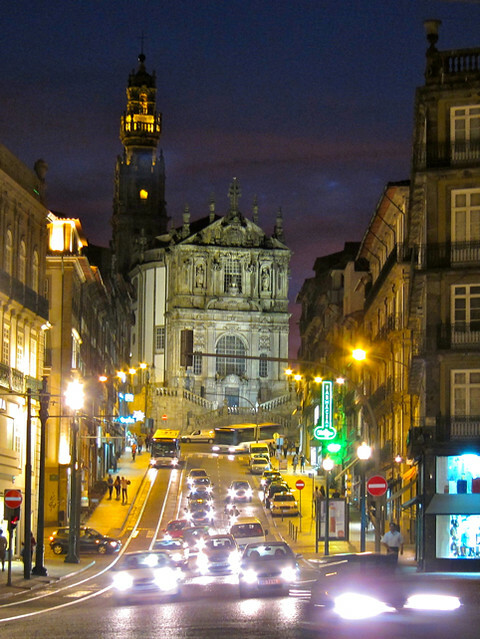 I absolutely love Porto. It’s easily on of my favorite cities in Europe. I have so many good memories wandering around all parts of the city at all different hours. lil’ You keep my blood pumping to plan for my next EU travel after last weeks EU trip. Spain is a must to go down to the Porto! Keep safe always and thank you for the info about the places and interests. Loooove Porto! 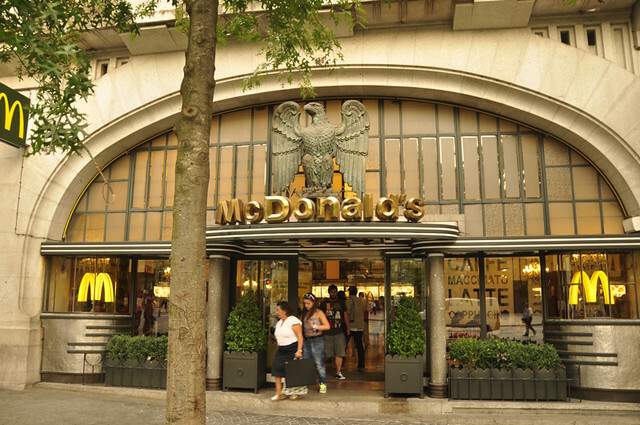 And your photos are amazing…glad you got a photo of the most beautiful mcdonalds in the world. I think it’s my favorite country so far coz I love Lisbon too. It’s not Petra or Rome with all these ancient treasures. But it is a treasure and one can’t help but have soft spot for it, no? I llllllooooovvvvveeeee it!